Zeelo is the on-demand coach service on a mission to redesign shared transportation around the needs of the customer. We use data and AI to understand where inter-urban transport demand exists and where public transport options let you down. In these instance, we provide direct and affordable coach services that cut travel times by up to 40%. We're currently focussed on major events and commuting. In 2017, Sam Ryan co-founded Zeelo, the on-demand coach service, with Barney Williams and Dani Ruiz. At Zeelo, Sam leads on finance, strategy and business development. Zeelo was born out of the team’s frustration with current transport options available to big events which saw them regularly experience overcrowding and poor services. Sam brings his strong track record in travel tech to Zeelo after co-founding his first business JumpIn – a taxi booking and sharing app – with his business partner Barney Williams whilst they were both studying at University of Leeds. 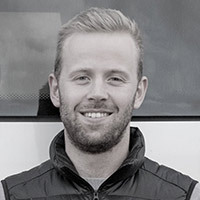 JumpIn evolved into a successful transport solution in Leeds, and subsequently Sam and Barney raised angel funding to expand JumpIn to five UK cities with a team of five full time staff in London. In 2014, JumpIn and the team were acquired by Addison Lee. At Addison Lee, Sam gained further valuable insight into the travel tech industry after becoming Head of Product. His role saw him head up a team of 18 who were responsible for product across the globe, including the performance of all digital channels. Sam managed teams in Cambodia, India, Russia and Spain. Under Sam’s leadership, the team grew sales through digital channels from 45 to 70 per cent of all sales.